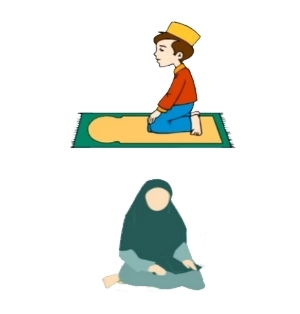 Namaz is the Urdu word for Prayer. 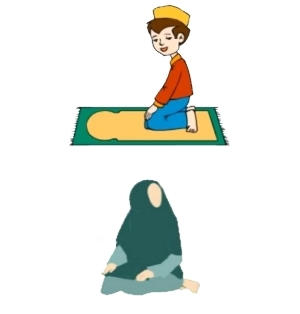 The Arabic word for Prayer is Salah. 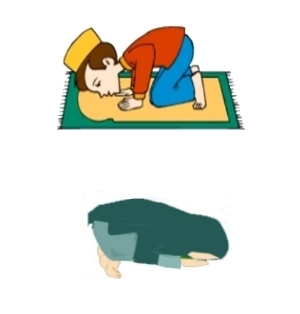 Namaz is the form of Worship of Allah S.W.T performed by Muslims. Fajr: Early morning just before sunrise. It consists of 4 Rakats. Zuhar: Afternoon paryers after Zawaal (when sun is perpendicular to earth). It consists of 12 Rakats. Asar: Post afternoon and before Sunset. It consists of 8 Rakats. Maghrib: Just after Sunset. It consists of 7 Rakats. 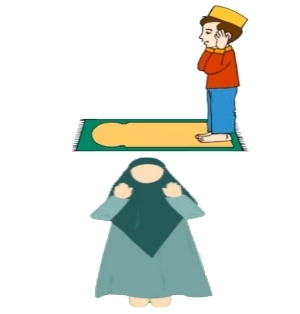 For men, it is advisable to pray in a Masjid in congregation, as it is 27 times more rewarding than praying alone at home, but for women it is equally rewarding whether she prays alone within her home or in a congregation in a Masjid. 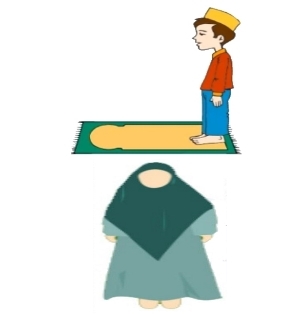 An important requirement in preparation for Namaz is the Wuzu (ablution) which requires one to clean his mouth, nose face, hands, head, neck and feet with running water to purify oneself physically. 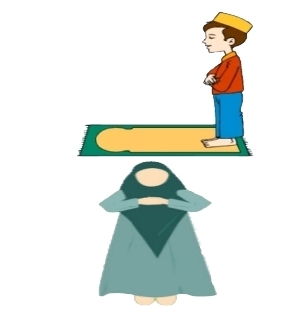 Namaz is to purify oneself, seek forgiveness for sins we commit, and pledge not to repeat it. A'oozu Bil-Laahi Minash Shaietaa nir-Rajeem. Bismil-Laahir-Rahmaa nir-Raheem. I seek refuge with Al-Laah from Shaitaan, the accursed. Allah, in whose name I begin, is the Most Compassionate, the Most Merciful. Qul Huwal-Laahu Ahad. Al Laahus Samad. Lam Yalid, Wa Lam Yoolad. Wa Lam Yakul Lahu Kufuwan Ahad. ("How glorious is my Rabb, the Greatest!"). ("Al-Laah has listened to him who has praised Him"). ("Glorified is my Rabb, the Most High"). Ath-taa-hi-yaatu Lil-Laahi Was-Sala-waatu Wat-taiey-yibaatu, As-Salaamu 'Alaieka Aiey-yuhan-Nabeey-yu Wa Rahmatul-Laahi Wa Barakaatuh, As-Salaamu 'Alaienaa Wa 'Alaa 'Ibaadil Laahis-Saaliheen, Ash-hadu Allaa Ilaaha Il-lal Laahu Wa Ash-hadu An-na Muhammadan 'Abduhu Wa Rasooluh. Al-Laahum-ma Sal-li 'Alaa (Saiey-yidinaa) Muhammadin Wa 'Alaa Aali (Saiey-yidinaa) Muhammadin Kamaa Sal-laieta 'Alaa Ibraaheema Wa 'Alaa Aali lbraaheema In-naka Hameedum Majeed. Al-Laahum-ma Baarik 'Alaa (Saiey-yidinaa) Muhammadin Wa 'Alaa Aali (Saiey-yidinaa) Muhammadin Kamaa Baarakta 'Alaa Ibraaheema Wa 'Alaa Aali Ibraaheema In-naka Hameedum Majeed. ("O Al-Laah! Shower Your blessings on Muhammad (Sallal Laahu 'Alaihi Wa Sallam) and the progeny of Muhammad (Sallal Laahu 'Alaihi Wa Sallam) even as You showered Your blessings on Ibraaheem and the progeny of Ibraaheem. Indeed, You alone are worthy of all praise and are the Glorious. O Al-Laah! Bless Muhammad (Sallal Laahu 'Alaihi Wa Sallam) and the progeny of Muhammad (Sallal Laahu 'Alaihi Wa Sallam) even as You blessed Ibraaheem and the progeny of Ibraaheem. Indeed, You alone are worthy of praise and are the Glorious. Rab-bij'alnee Muqeemas Salaati Wa Min Zur-yatee, Rab-banaa Wata Qab-bal Du'aa, Rab-banagh-fir Lee Wa Li Waali daiey-ya Wa Lil Mu'mineena Yauma Yaqoomul Hisaab.